Before bed each night, I read my kids each a book. It's one of my favorite parts of the night. We all get down on the floor and each of my children pick out a story. 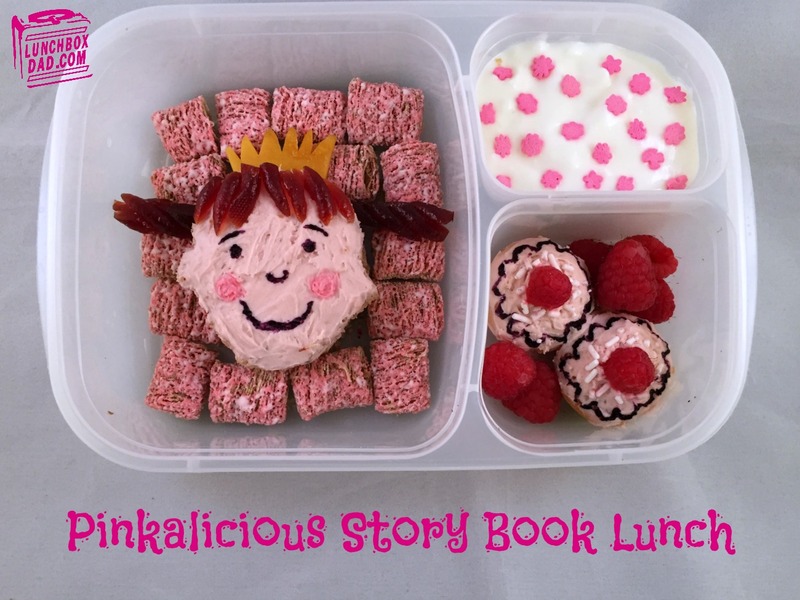 Many times, my kids pick out the book Pinkalicious by Victoria and Elizabeth Kann. It's the story of a girl who eats too many pink cupcakes and turns pink herself. 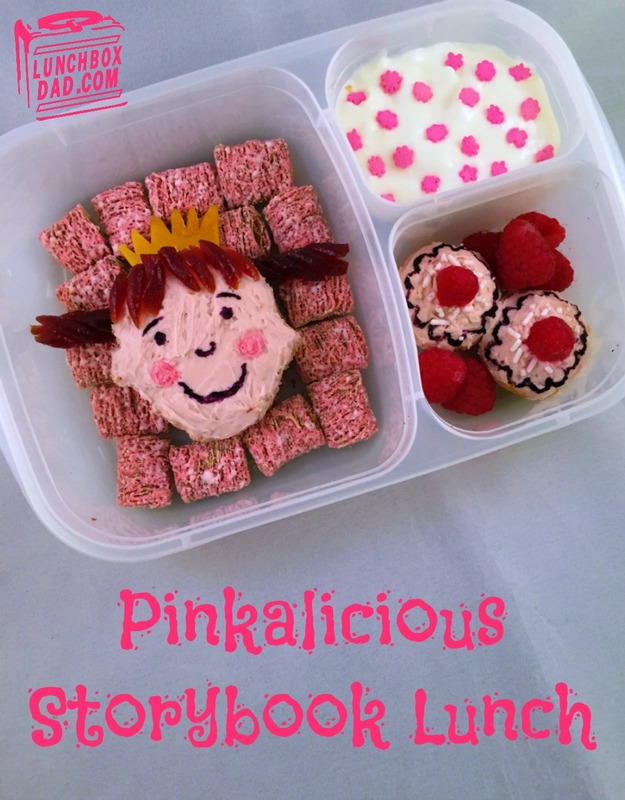 In honor of our favorite time of the day, I made a special Pinkalicious lunch! This lunch is complete with the pink cupcakes and pink peonies (in the yogurt). I made this in an Easy Lunch Boxes container. Remember to follow me on all my social media channels. You can easily do that by using the buttons on the right! 1. Cut a simple head shape out of bread. Repeat with second piece. Spread peanut butter on one slice and make a sandwich. Cover the top with strawberry cream cheese. 2. Cut crown from dried mango and stick the bottom in between the slices of bread. Cut Clif Kid Z Rope into a few pieces. Use some of the pieces for bangs and the other pieces as ponytails. 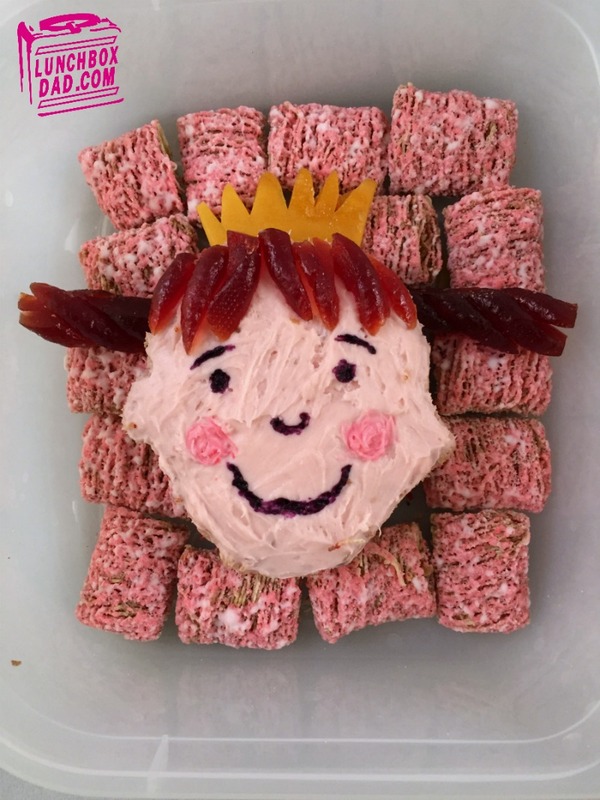 Use pink and purple food coloring for the facial features. 3. Place sandwich in main dish and surround with strawberry mini wheats. 4. In side dish place sliced strawberries and top with greek yogurt. Drop flower shaped sprinkles on top. 5. Spread a very small amount of strawberry cream cheese on a mini muffin. 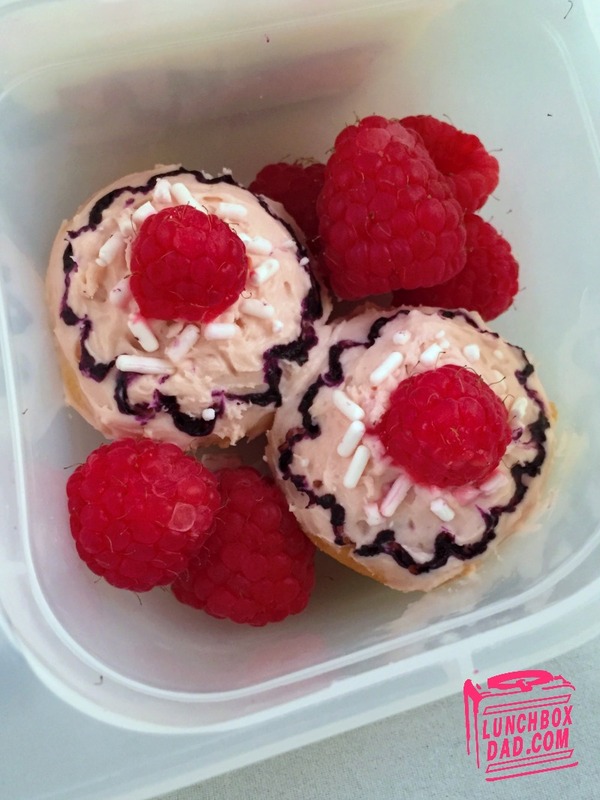 Place raspberry on top and draw the design around the edge with food coloring. Drop a few white sprinkles around the raspberry. Repeat with second muffin. Place both in a side dish and put raspberries around them.